General Manager of the Ghana Stock Exchange (GSE), Ekow Afedzi has urged Ghanaian investors to make long-term investments to grow the country’s economy. 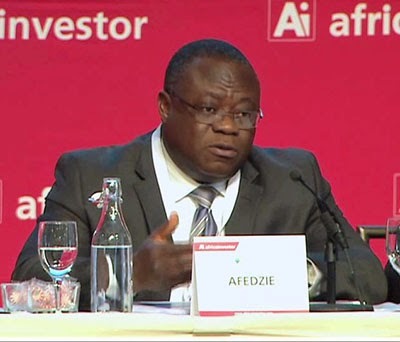 According to Mr Afedzi, most investors resort to short-term investments due to the constant rise in inflation. “Ghanaian investors are always doing short-term investments, there is a reason. In an economy where you have inflation going up all the time, people like to invest short-term. In any economy where we do a lot of short-term investment, the economy will never develop. “We need long-term investments for growth to build the factories, the roads etc. Short-term investment is just for liquidity purposes and other things. Above all that, we need to understand the market itself,” he stated. The capital market deals with long-term investments, most of the time starting from two years and above while money market deals with short-term investments, he indicated. Mr Afedzi disclosed this at a seminar organized by the Private Newspaper Publishers Association of Ghana (PRINPAG) in collaboration with Ecobank Ghana at the Coconut Grove Regency Hotel, Accra. The seminar was also aimed at helping journalists in the private sector to report appropriately on the financial markets in order to ensure accurate dissemination of information to boost economic growth and investor relations in Ghana. Head of Corporate Affairs for ECOBANK Ghana, Patricia Sappor, for her part, noted that financial markets are the bedrock of growth of any economy, adding that they facilitate the transfer of real economic resources from leaders to ultimate borrowers. “The financial markets also promote savings and investments, and also enhance income and capital generation culminating in the economic and financial stability of a nation such as Ghana. Economies, indeed, thrive on the financial markets, and this is why as part of our corporate social responsibility we are committed to supporting the media to have an in-depth understanding of aspects of the financial markets in Ghana,” she said. President of PRINPAG, Mrs Gina Blay stressed the need for journalists to acquire knowledge about the operation of financial institutions in the various sectors and appreciate the financial role of money market in the country. “As media people, our vital role is to acquire and share knowledge with the public. This will help in the growth and advancement of our society, especially Ghana in a sustainable and responsible way. Who else could we have reached out to but Ecobank, a very big player in the money market.